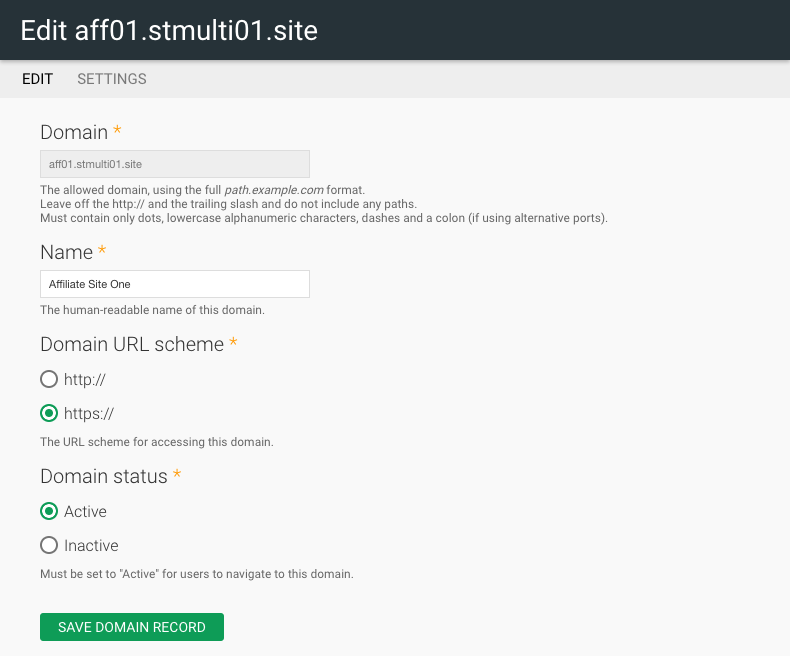 Stacks Multi-Domain allows you to manage multiple domain websites under a single dashboard. Manage your websites from a central location, with robust management and publishing options. 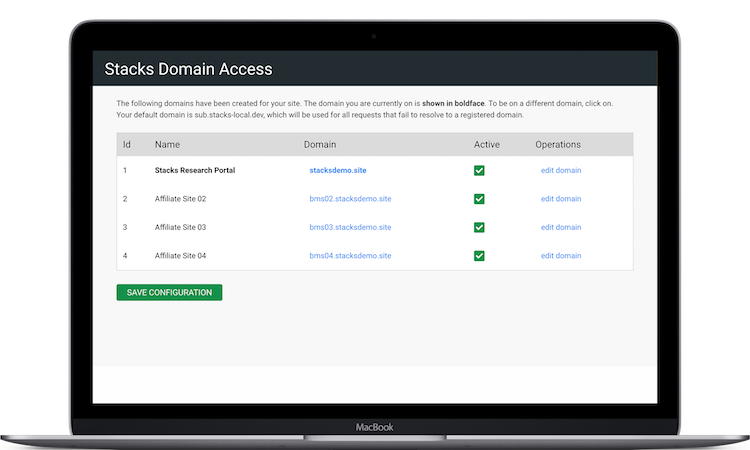 Publish to one, some, or all of the domains that are associated with your Stacks site. Maintain a central administration while allowing local administrators to manage their domain and content independently. Submit a Support Ticket at support.stacksdiscovery.com to request your Stacks trial be upgraded to support the second Domain. Click on the 'New Support Ticket' button at the top right-hand corner of the screen. Domains can be active or inactive and they will only be accessible to non-administrative users if they are active. Note: The domain you are currently logged into will be listed in bold text. Note: We will set the default language per domain later so it is not important which language is set as the default here. Translate content into your preferred language. To create a new Landing Page to use as the front page of the second domain, you must first create content elements to add to your Landing Page in your chosen language. For Example, you must create Callouts, Sliders, News Articles and more in your chosen language. Note: Content can only be published to active domains. To activate a domain refer to Domain Administration in the User Manual. ​​​​​Note: Content can only be published to active domains. To activate a domain refer to Domain Administration in the User Manual. A Bento search will display results sorted by item type. You may choose to include just one type, say books, or many types such as books, academic journals, DVDs, etc. 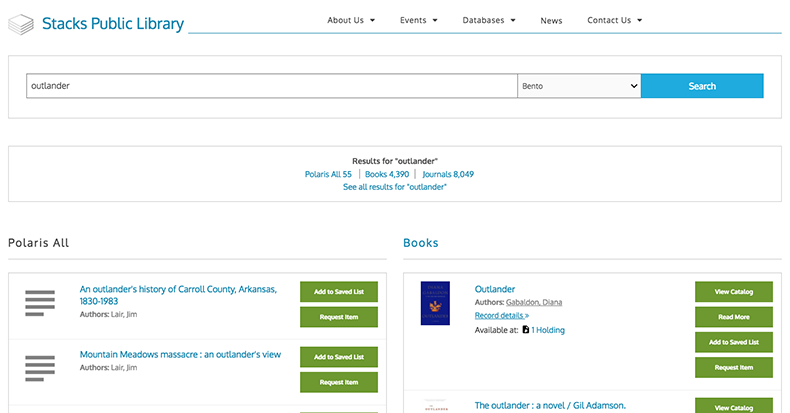 You may also add boxes for news items or website search. 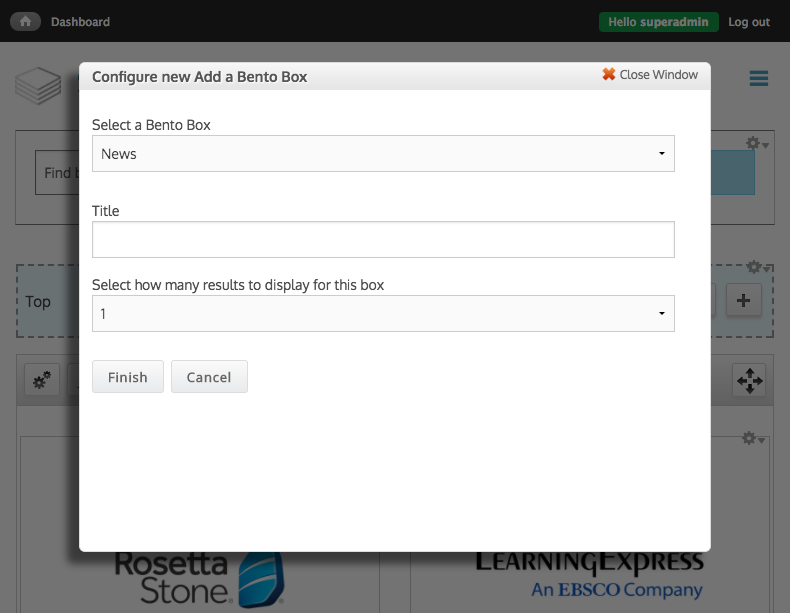 Result types are grouped together in Bento ‘boxes’ for easier navigation by users.